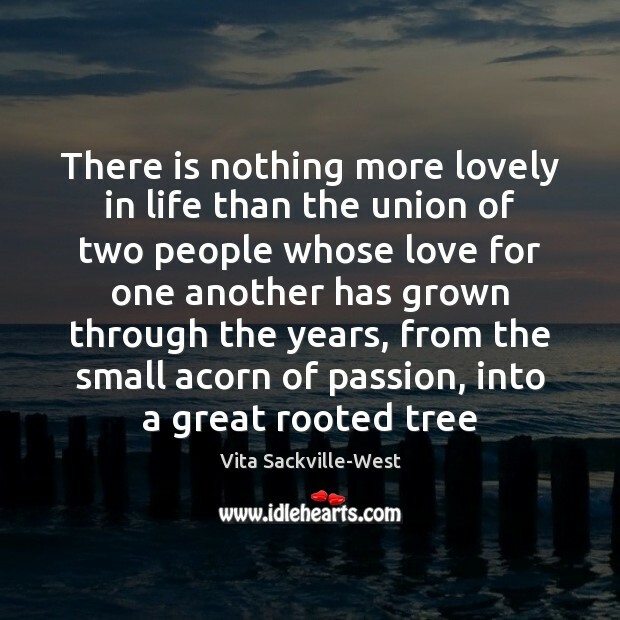 Quotations about Acorn. Quotes to stimulate mind and drive action! Use the words and quote images to feed your brain inspiring things daily! 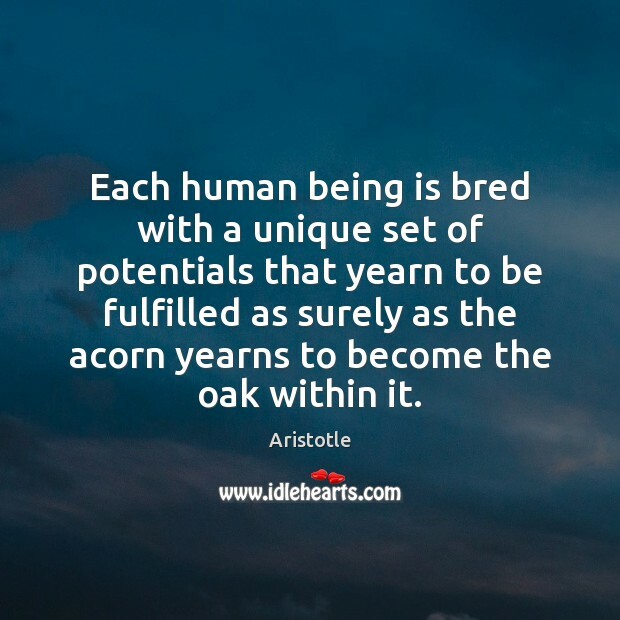 Each human being is bred with a unique set of potentials that yearn to be fulfilled as surely as the acorn yearns to become the oak within it. 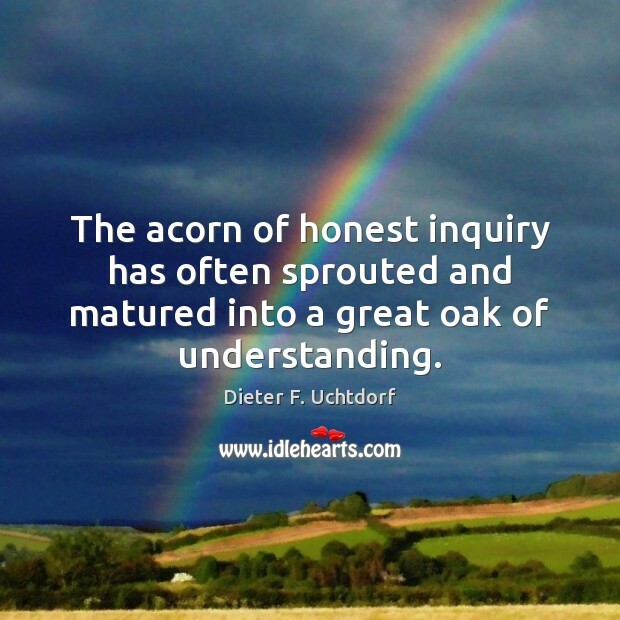 The acorn of honest inquiry has often sprouted and matured into a great oak of understanding. 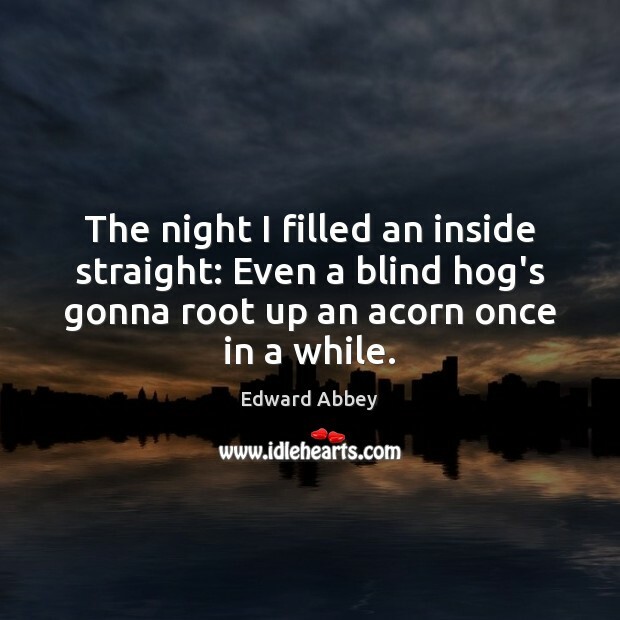 The night I filled an inside straight: Even a blind hog's gonna root up an acorn once in a while. What is a human being, then?' A seed' A... seed?' 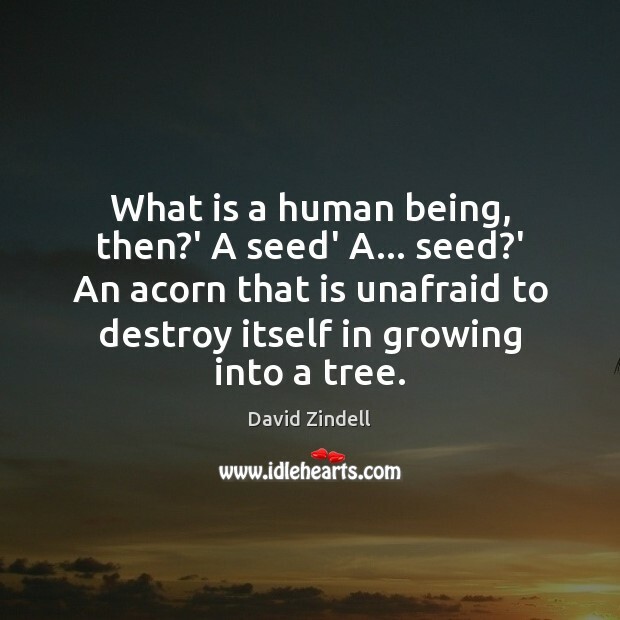 An acorn that is unafraid to destroy itself in growing into a tree. Even fools say something worthwhile now and again. 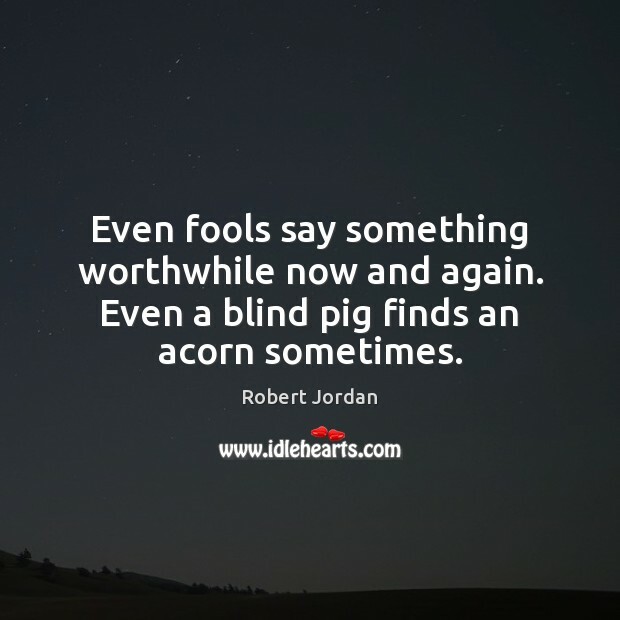 Even a blind pig finds an acorn sometimes. 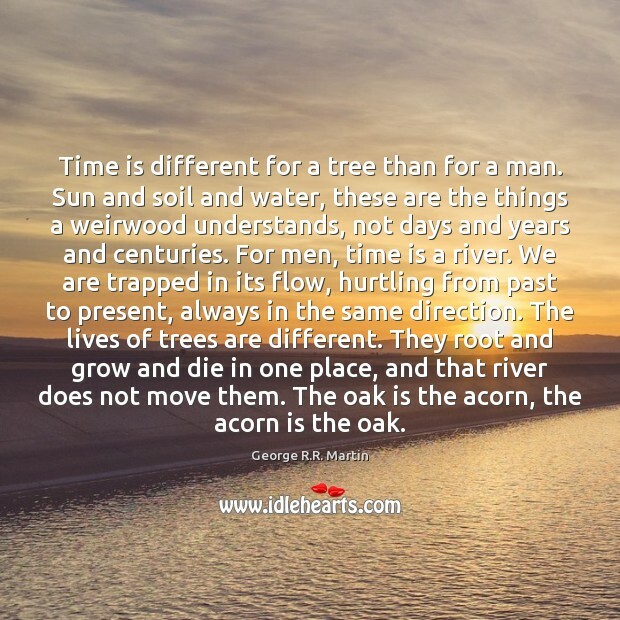 Time is different for a tree than for a man. Sun and soil and water, these are the things a weirwood understands, not days and years and centuries. For men, time is a river. We are trapped in its flow, hurtling from past to present, always in the same direction. The lives of trees are different. They root and grow and die in one place, and that river does not move them. 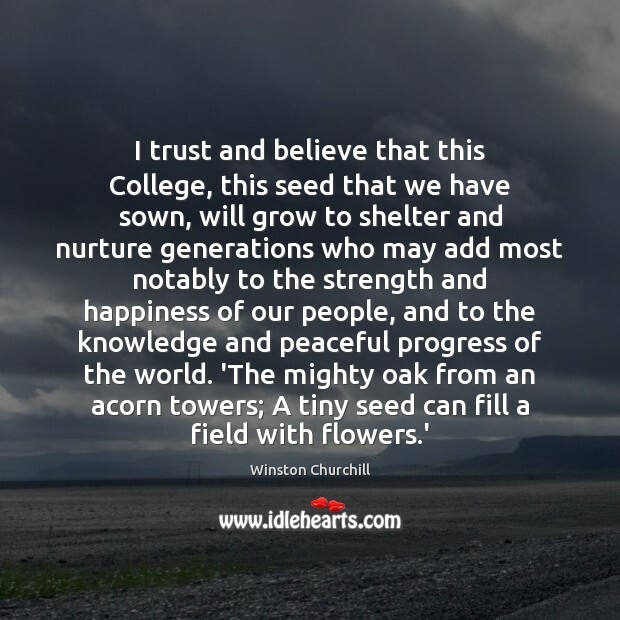 The oak is the acorn, the acorn is the oak. 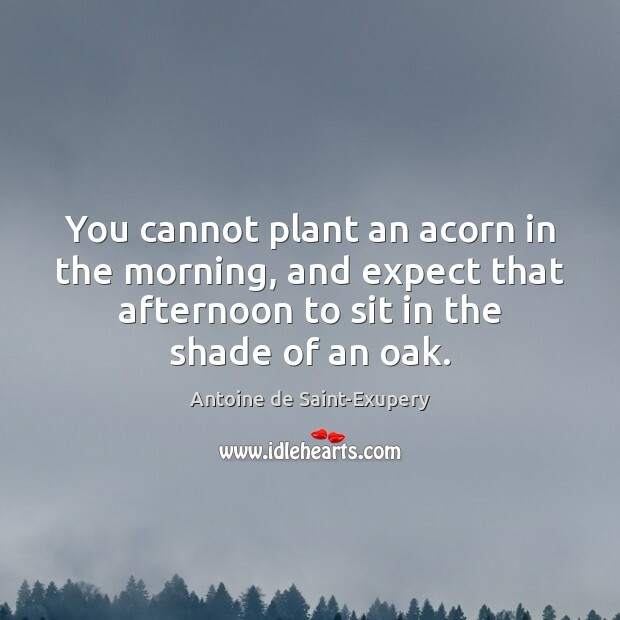 You cannot plant an acorn in the morning, and expect that afternoon to sit in the shade of an oak. 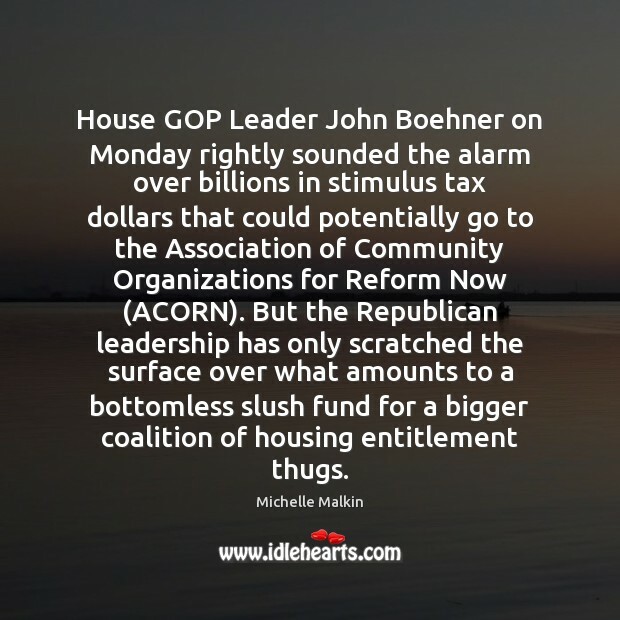 House GOP Leader John Boehner on Monday rightly sounded the alarm over billions in stimulus tax dollars that could potentially go to the Association of Community Organizations for Reform Now (ACORN). But the Republican leadership has only scratched the surface over what amounts to a bottomless slush fund for a bigger coalition of housing entitlement thugs. 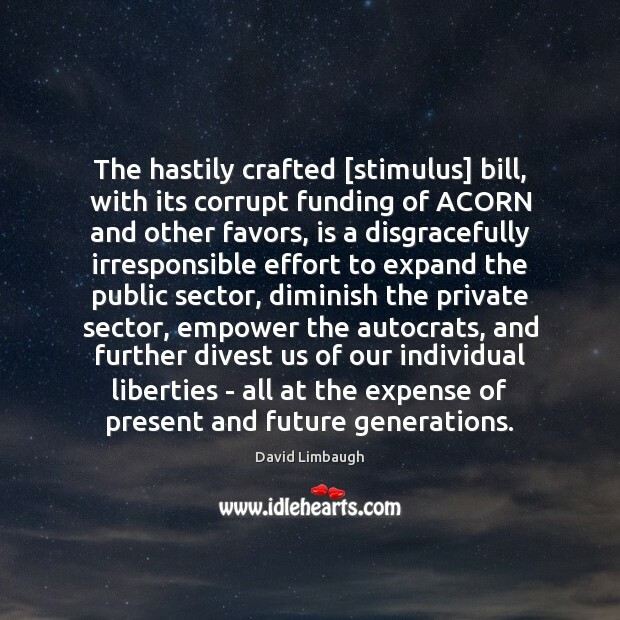 The hastily crafted [stimulus] bill, with its corrupt funding of ACORN and other favors, is a disgracefully irresponsible effort to expand the public sector, diminish the private sector, empower the autocrats, and further divest us of our individual liberties - all at the expense of present and future generations. Never lose a chance of saying a kind word. 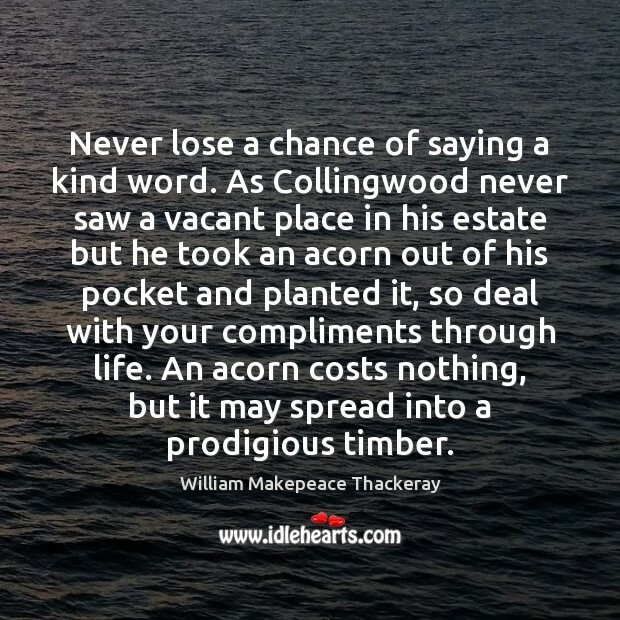 As Collingwood never saw a vacant place in his estate but he took an acorn out of his pocket and planted it, so deal with your compliments through life. An acorn costs nothing, but it may spread into a prodigious timber. 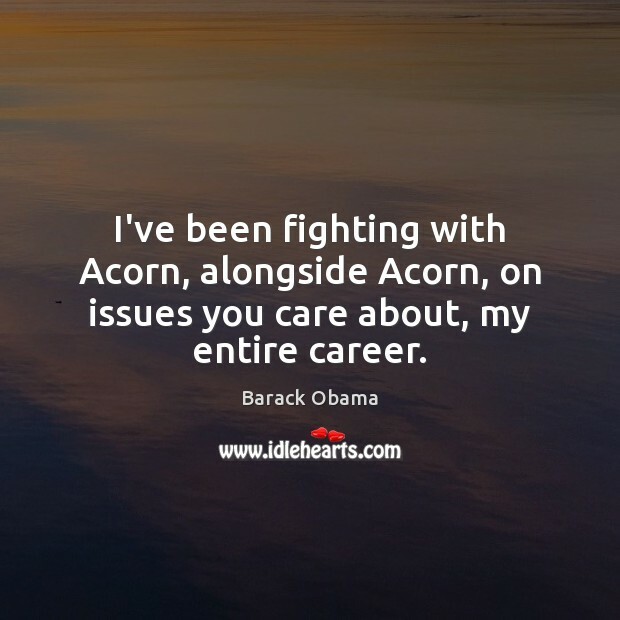 I've been fighting with Acorn, alongside Acorn, on issues you care about, my entire career. Before birth; yes, what time was it then? 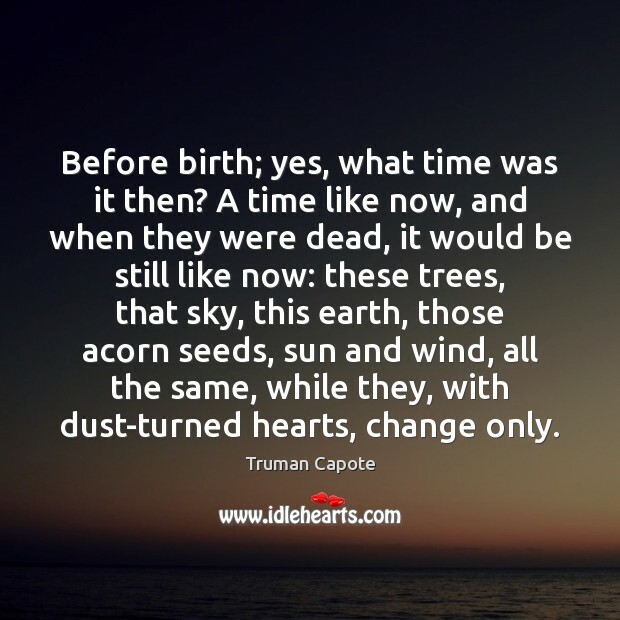 A time like now, and when they were dead, it would be still like now: these trees, that sky, this earth, those acorn seeds, sun and wind, all the same, while they, with dust-turned hearts, change only. 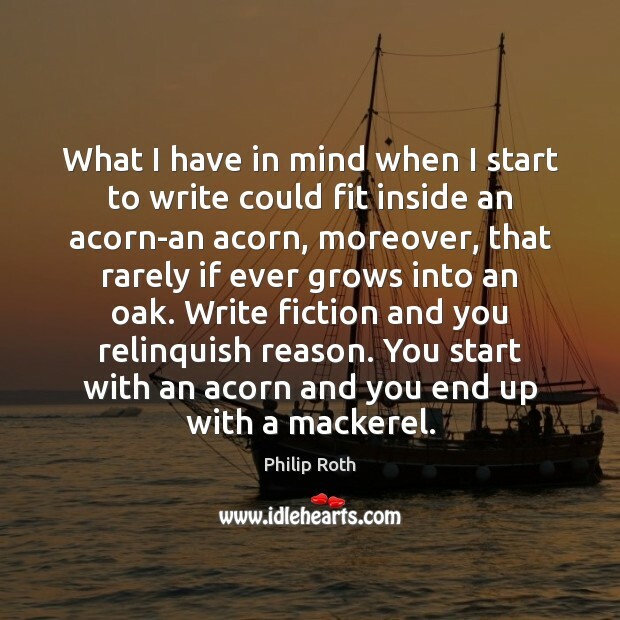 What I have in mind when I start to write could fit inside an acorn-an acorn, moreover, that rarely if ever grows into an oak. Write fiction and you relinquish reason. You start with an acorn and you end up with a mackerel. 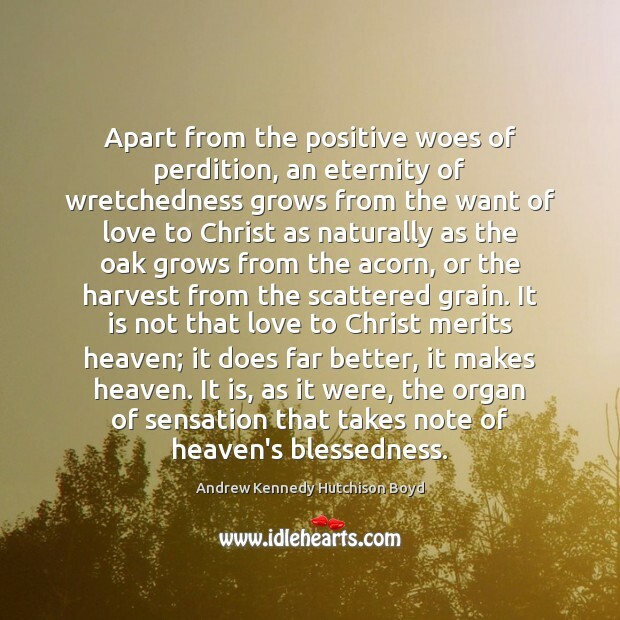 Apart from the positive woes of perdition, an eternity of wretchedness grows from the want of love to Christ as naturally as the oak grows from the acorn, or the harvest from the scattered grain. It is not that love to Christ merits heaven; it does far better, it makes heaven. It is, as it were, the organ of sensation that takes note of heaven's blessedness. 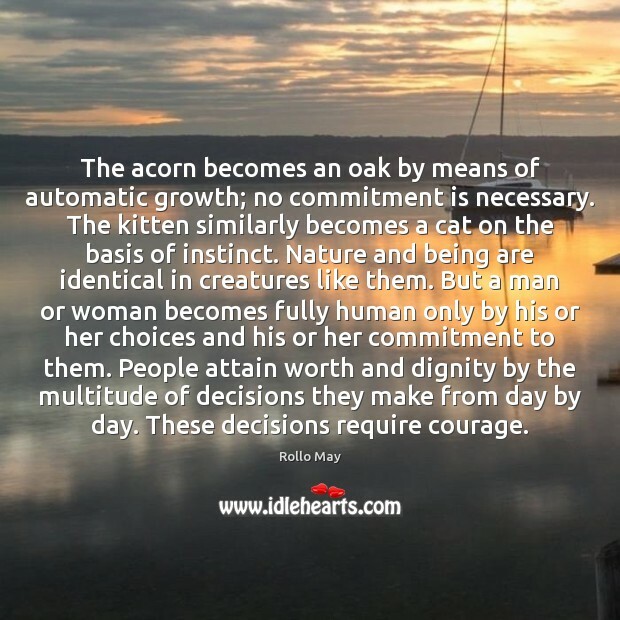 The acorn becomes an oak by means of automatic growth; no commitment is necessary. The kitten similarly becomes a cat on the basis of instinct. Nature and being are identical in creatures like them. But a man or woman becomes fully human only by his or her choices and his or her commitment to them. People attain worth and dignity by the multitude of decisions they make from day by day. These decisions require courage.